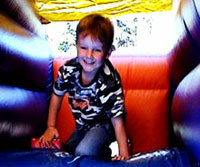 Chill Out Chamber Jumping Castle. Beat the heat in Kids car wash, WALK through and feel the cool waterspray followed by shots of cool air, its the perfect addition to your school sports day, Fun Run, Bike and scooter parade. Cash Grab/ Raffle Barrel. After a novel way to draw your raffle, run a Q & A (questions and answer board) the idea’s are limitless. 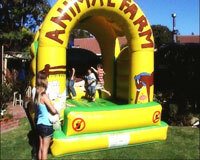 Perfect addition to your school fete or fair. 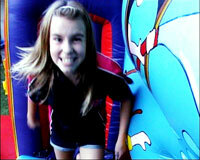 Airborne Adventure Jumping Castle. Up Up and Away, perfect for the corporate events that need an eye catcher.